Left Coast Rebel: Senator Rand Paul Rocks! Senator-elect Rand Paul of Kentucky is impressing me more by the day. A recent incident (Thursday of this week) in the bowels of the United States upper chamber of Congress highlight Senator Paul's willingness to call out leadership on both sides of the aisle for lack of adherence to principles (or not having any principles, whatsoever). Washington — Sen. Rand Paul (R., Ky.), a Tea Party favorite, has boxed Senate Majority Leader Harry Reid (D., Nev.) into a corner. After a quiet day of quorum calls and speeches, Reid abruptly adjourned the upper chamber Thursday and postponed votes until Monday. According to numerous Hill staffers, Paul deserves some credit for the impasse. 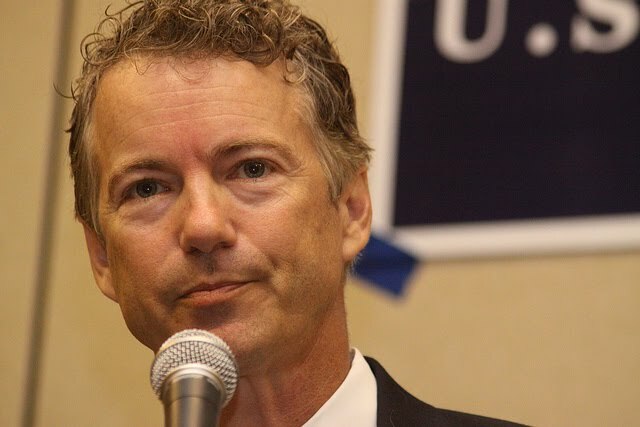 Rand is proving that he is a principled force to be reckoned with, much like his father. Chris - I agree, I think we have only seen the tip of the iceberg at this point, too. I've been thinking the same thing. He is my favorite possible new candidate for 2012.